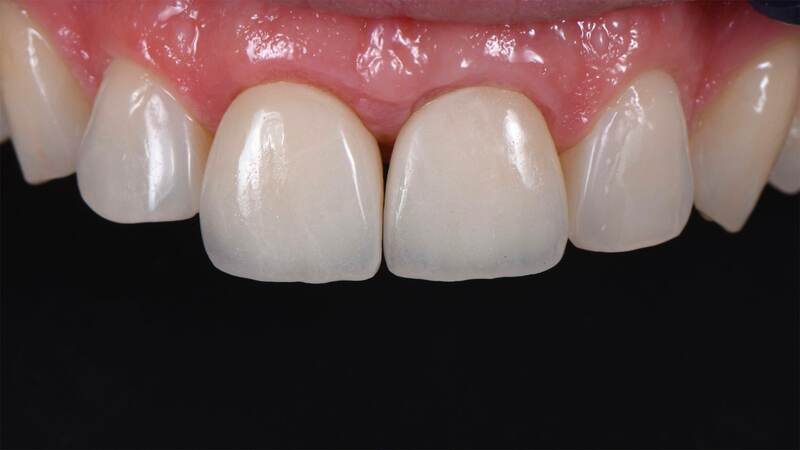 Implant treatments are planned in a systematic manner in order to place the implant in the axis of the future crown. 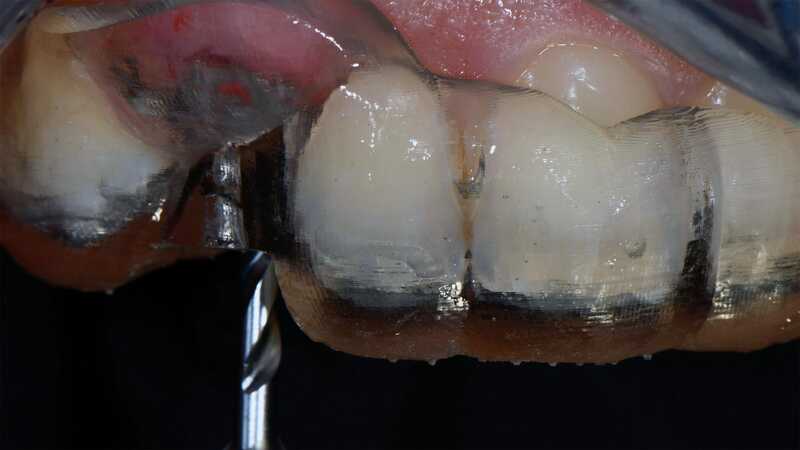 In addition, to ensure that the bone and gum remain healthy around the implant, they both need to have sufficient thickness at the time of implantation. 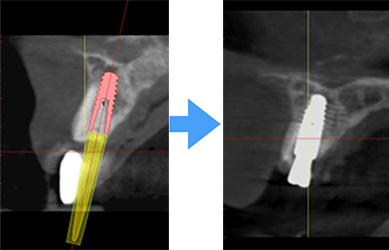 A dental arch scan is performed and then an implant planning software allows us to virtually position the implants, ideally with respect to the jawbone and the position of the future prosthetic teeth. Dans les cas délicats, un guide chirurgical issu de la planification pré-implantaire permet de guider le foret du chirurgien pendant l’intervention, et ainsi de reporter en bouche précisément la position idéale des implants. If the bone or gingiva of the jaw is too thin to receive implants, it is pre-implant surgery becomes necessary to strengthen them durably. 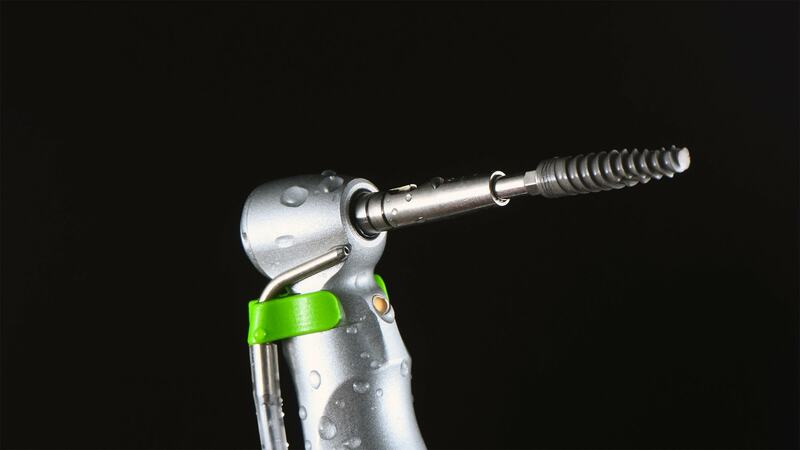 In most cases, we use biomaterials such as allografts or bone xenografts, which reduce postoperative complications. 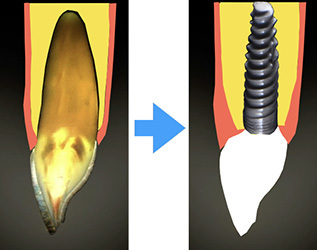 On average, 3 months after implant placement, a ceramic crown is screwed onto the implant. 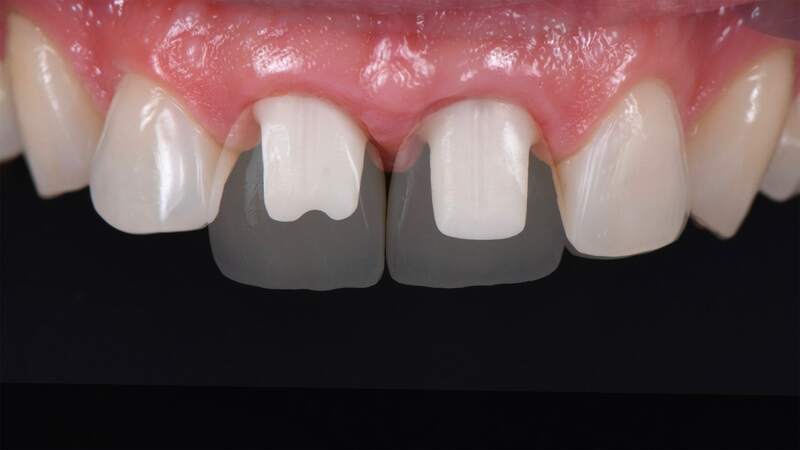 Its CAD / CAM design makes the implant / crown junction more precise. 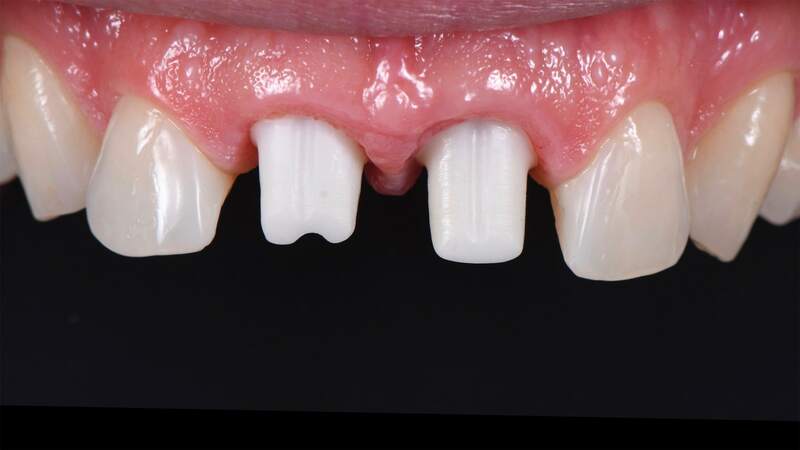 In some cases, it is possible to immediately replace the extracted tooth with a temporary resin crown fixed on the implant, which is particularly useful for the front teeth. All images are the exclusive property of the firm. All clinical cases presented on our site have been treated in the office by our healthcare team. All images and videos are published with the written consent of our patients.